Dr Janet Scott, who is leading a transatlantic project to tackle effective recycling of polymers, shares her passion for science with us. Researchers from Brazil, the UK and the US are coming together to work on an important global problem: effective recycling of polymers to keep their carbon in the manufacturing loop. Janet, the Training Director of our Centre for Sustainable Chemical Technologies (CSCT), is excited about the international aspect of the project. 'The aim is to do bigger and better science by doing it together rather than individually', she says. 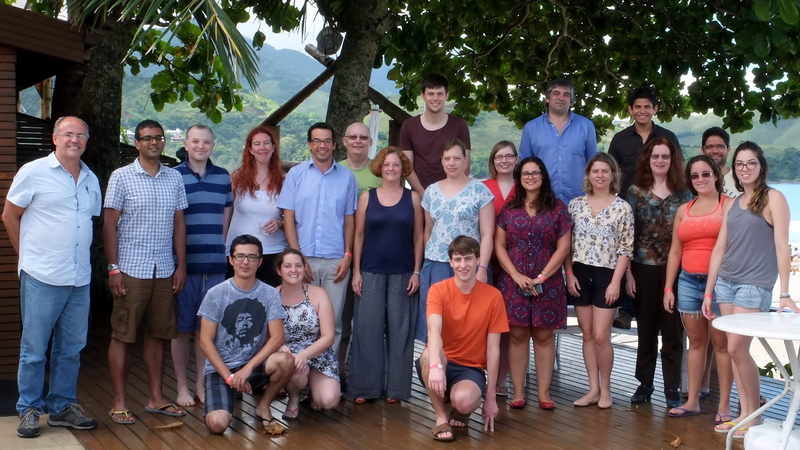 The project brings together experts in molecular and structural biology, polymer materials and sustainable technologies from Bath, The Ohio State University, University of São Paulo and Universidade Estadual de Campinas (Unicamp). The researchers will use nature's catalysts - enzymes, to reduce polymers to their component monomers for recovering valuable components, or for remanufacture. 'Secondly, we collaborate to discover, characterise and apply enzymes for low energy depolymerisation of more challenging targets. These include bio-based polymers, which are becoming more widely used to replace oil-based polymers', Janet explains. In a world where challenges have become global, international collaborating is vital for researchers. The project is part of the Global Innovation Initiative, which aims to strengthen global multilateral collaboration through grants in STEM research.